Introducing dogs to each other can be tricky. Some dogs have aggressive tendencies that might not come out around you or other people, but in the presence of the right canine, they will attack or bite on instinct. The good news is that there are ways you can safely introduce dogs to each other to limit any aggression from either animal and make sure you control the situation so that nobody gets hurt. Most dog owners understand that dogs are very territorial. Whether it’s where your pup lives, plays, or even goes to the bathroom, chances are he feels it is “his space” and he could act aggressively towards another dog that might come into the picture. 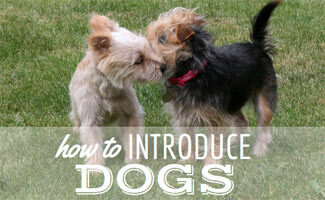 It’s best to know the proper way of introducing dogs that makes what could be an intense situation less chaotic. 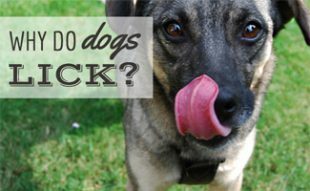 According to the Humane Society, thirty percent of families with dogs have more than one. Before you bring that second (or third!) pup into the home, consider the fact that the first dog already has his space, his routines, your undivided love and attention, and he may not want to share any of that with the new animal (at least not right away). Below are some rules you should follow when transitioning a new dog into the home. 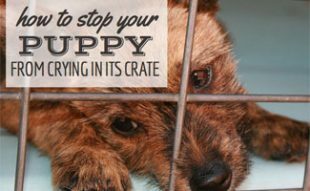 The best place to introduce a new pup you plan to bring into your home is away from your first dog’s space. Try going to neutral territory like a park to let the two dogs get acquainted and used to each other, so your first pet isn’t threatened when the new dog comes into the home. Even after dogs meet, you don’t want to just throw a new dog into the mix and let them “work things out.” Monitor the situation, and let the two dogs interact in the home. Be sure to go on lots of walks, so the first dog understands that the new one is now part of the routine. This one is important for both dogs. If you give more attention to the new dog, the first dog will feel jealous and resent the new one. Make sure you don’t play favorites to the first pup either, which will create a rivalry where both dogs will compete with each other for your affection, which can lead to animosity. Food is one area that will cause tension if you don’t do it right. For the first three weeks or so, feed the dogs separately, so they understand that both of them are entitled to food, and neither of them controls the food bowl, you do. Puppies can be wild cards when it comes to how an older dog will react. Sometimes, the older one will take on a nurturing role with the new puppy and “show him the ropes” of the home. Other times, a puppy’s wild nature will become overwhelming for another dog, and they will avoid or become aggressive towards the new guy. Again, rules become extremely important, and you have to resist the urge to treat the puppy differently than your other dog so that you do not create unwanted tension. Below, you’ll find a helpful video that outlines the best way to introduce a puppy to an older one. 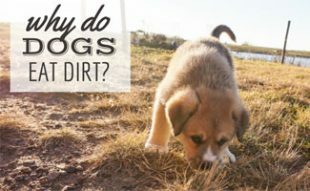 While it’s easy to let some things slide because the puppy is “just being a puppy,” it’s imperative to put the pup on a fast learning curve as far as the rules of the house are concerned. The same rules that apply to your first dog should be observed as quickly as possible by your new puppy. A puppy will always be curious and want to play. Sometimes, older dogs aren’t willing to share right away, and if they see a new dog, albeit a puppy, chewing on their squeaker toys, they might act aggressively. Remove the toys initially and give them each one for “play-time.” Watch to make sure they don’t fight and if one is hogging a specific toy, get the other dog’s attention with the second toy. You will also want to get your new dog a new bowl, so they don’t have to share. Dogs can’t tell you that they’re annoyed, frustrated or “more fine with the situation than I thought I’d be,” so you have to watch their body language to pick up on how a dog is feeling. Watch the hair on the top of their back and pay attention to the tail and ears. 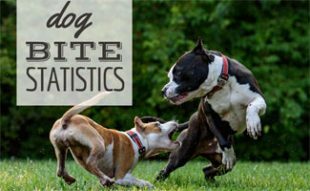 All of these things are indicators that a dog is about to become aggressive, and you should separate the dogs as quickly as possible. Just remember these five keys tips when introducing dogs to each other for the first time and you’ll be fine. If you remember these things, any dog should be able to be introduced to another with limited aggression or tension. The important thing is to always to be mindful of the situation and use your best judgment. When the time feels right to relax some of the rules and let dogs be dogs, you’ll know, and you will have created the best possible dynamic for your family. If you need more tips with how to socialize your puppy check out this article. How did it go when you first introduced your dogs to one another? Always be patient with a new dog. Some people expect them to settle into their new home quickly, but that’s not always the case. Every dog is different.